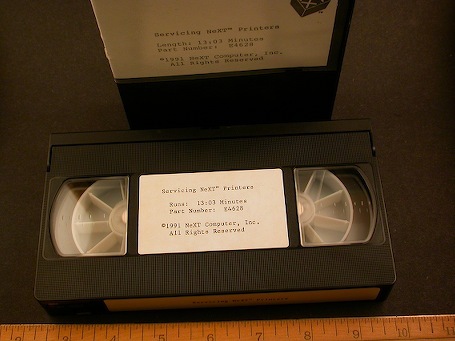 As a Certified NeXT Service Center we had materials not available to most dealers, including the service technician's training manual and VHS tapes for servicing the NeXT Laser Printer. I have included a short excerpt from the training tape to give you an idea of the level of detail available to technicians. We have both the Service Manual and training tape in the collection. 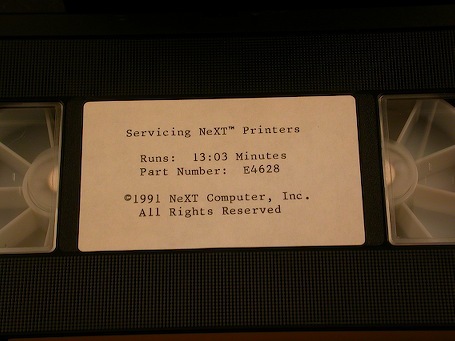 Note the contrast in the level of service complexity between the printer made by Canon for NeXT and the NeXTStation. This is the elegant design we see today in Apple products... by the same people.